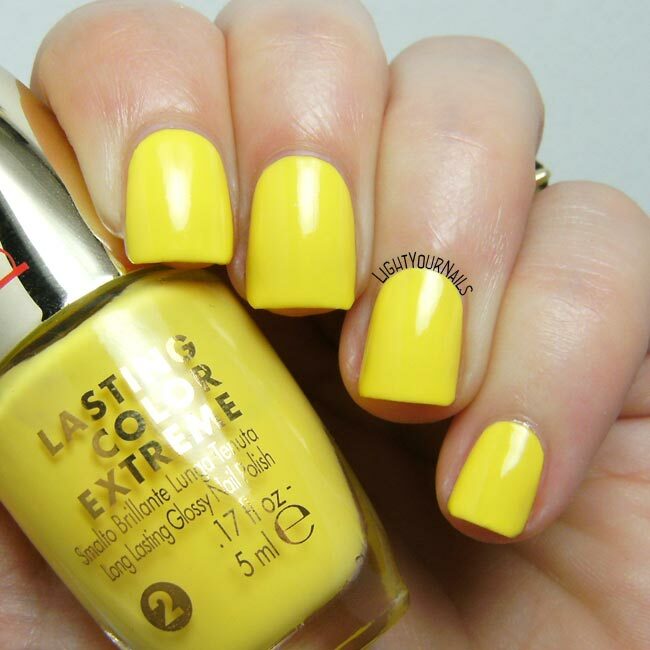 Pupa Lasting Color Extreme 040 Yellow Side | Light Your Nails! 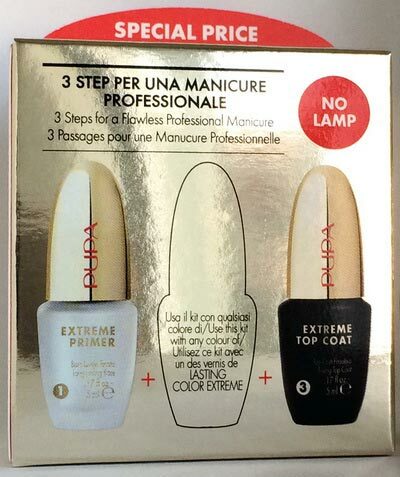 Today I’m showing you a nail polish by Italian brand Pupa and its new Lasting Color Extreme range. I got this nail polish free with purchase of the Extreme Primer + Extreme top coat kit. This is a hybrid top coat that is meant to cure under sunlight. You know I like this idea and I am testing several top coats that should work this way. Pupa Lasting Color Extreme n. 040 Yellow Side is a bright yellow crème, lovely for summer but maybe better fit for darker or bronzed skin tones. It applies easily and it’s very pigmented. I used it together with its matching primer and top coat. The finish is super glossy and I had no chipping after 5 days. This doesn’t mean my mani was still perfect. Instead of chipping it kinda cracked from the inside. I had several black cracks on my nails, I couldn’t feel them but they were obvious to see. It felt like the cracks were in the nail polish only, and not in the top coat. Kinda odd, isn’t it? I have to test the primer + top coat kit again to understand if the cracks show up again. I will test them with different nail polish brands, too. I like the nail polish though, yellow is so underrated. What do you think about yellow nails? I love a yellow that doesn't show NVL. This one is incredibly opaque! I'm really feeling yellows this summer! This one is lovely! You make that yellow look great! Thank you Kerry! I will definitely test it for a while and report back! I'm never a fan of yellows but this is gorgeous! I'm also really curious about the cracking. I hope you'll share your thoughts on those hybrid top coats you are testing. I will! Thank you Vedrana! yellow seems to be the color of the summer! Do you think so Nichole? I feel like it's so underrated. That is such a happy shade of yellow!